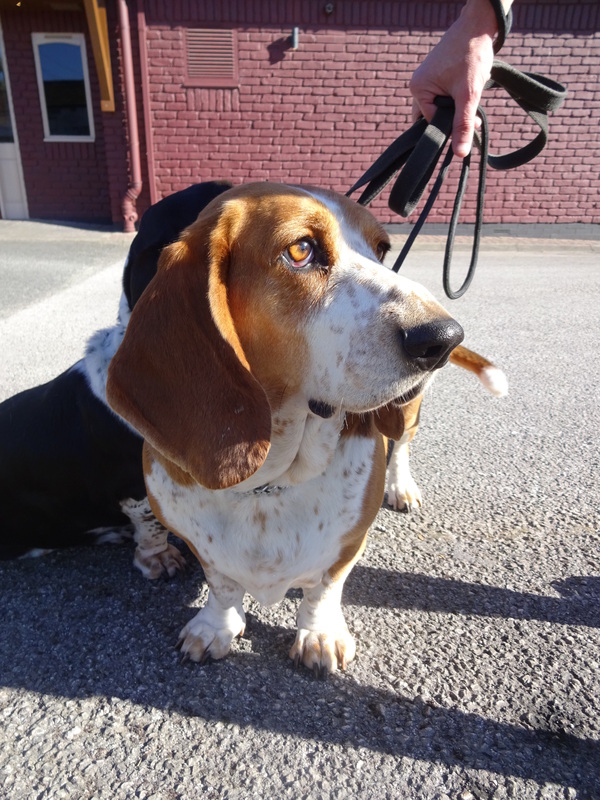 I had to take the car into the garage this morning and fortunately as me and Ethan were waiting outside we spotted two absolutely gorgeous Basset Hounds walking on the other side of the road. 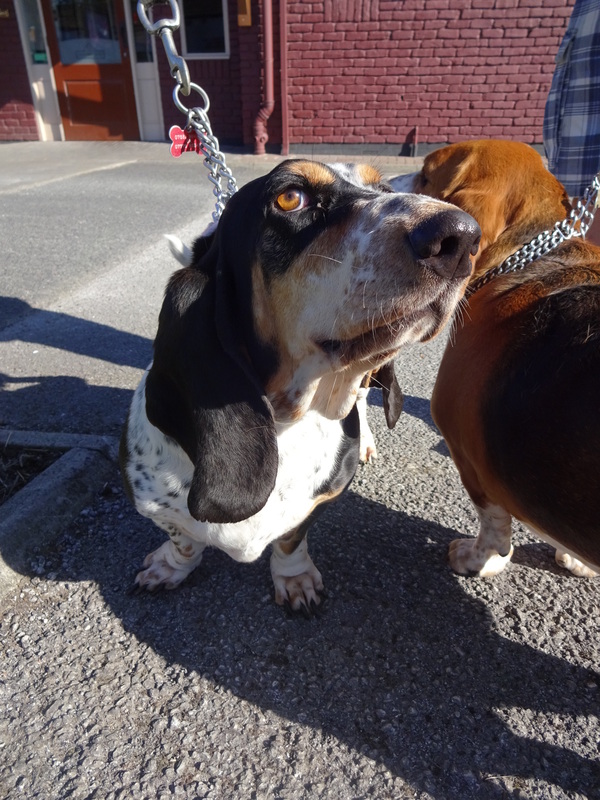 I totally love Basset Hounds so I couldn’t miss out on going to say hello! 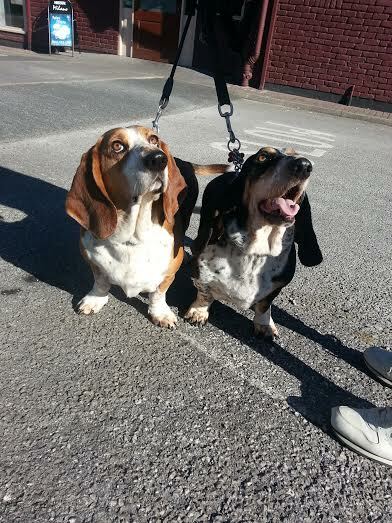 Alfie and Bill are both wonderful friendly girls (they have boys names but they are both girls!). It was pretty difficult getting the picture today, not really because the dogs wouldn’t keep still but because Ethan wouldn’t! Alfie and Bill also live with a Chihuahua, even though the Chihuahua is small she’s top dog in the house! Alfie and Bill are both the same age but are from different litters. Favourite toy: They don’t really play with toys but they both love chewing Rawhide dog chews.